Towers Seven offers more privacy than the other Towers condos and has a much more lenient pet policy for man’s best friend. Here you can enjoy the sun and sand of the beach below your home and explore the many great attractions and activities that Ponce Inlet life affords. 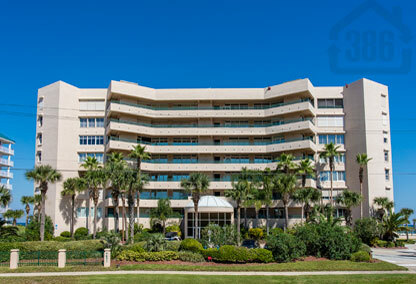 This condominium was built in 1998 in Ponce Inlet, Florida by Dimucci Development Company. oceanfront units feature large layouts that offer 2 bedroom and 3 bedroom floor plans. The ocean and beach views are incredible from each unit! Residents at Towers 7 can see up and down the coastline and watch the sunrise in the morning.